Registered nurse schools in Vermont offer a high quality, cost-effective and flexible program that is designed to bestow you with the exceptional education, which in turn, fulfills the health care needs of an individual. The RN coursework includes classroom lectures, practical and laboratory program as well as clinical sessions. 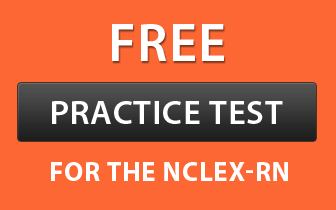 This will prepare you for the National Council Licensure Examination for Registered Nurses (NCLEX-RN). All in all, it will help you assume an entry-level RN role. If you aspire to become a registered nurse, explore various nursing programs in Vermont. Students who are less than 18 years are not eligible for program. The candidate is expected to submit a fingerprint clearance card. It is mandatory for every aspirant to complete his/her general education, i.e. GED or high school. You should not be holding any criminal record. The aspirant must pass the drug test. If criminal background check or drug test is found positive, you will not be given admission. It is compulsory for a student to provide his/her photo identification. Applicants are required to clear the Test of Essential Academic Skills (TEAS). This is an analytical test that covers basic math, science, English, and reading. You are required to provide a valid e-mail address. It is necessary to submit duly filled residency verification form. Registered nurses require a broad base of knowledge which is possible through rigorous program program. Here is a list of nursing courses for those who wish to become a professional nurse. ADN: Associate Degree in Nursing is an entry-level nursing degree that prepares aspirants to play a crucial role in patient care and recovery. This is a two-year program which involves nursing theory, nursing practice and general education courses. BSN: Bachelor of Science in Nursing is a 4-year long educational program wherein students are trained in every aspect of nursing. The core curriculum helps aspirants integrate their academic and clinical experiences, so that, they could meet the challenges of day to day health care world. Direct Entry MSN Program: This program is basically framed for non-nursing professionals who own baccalaureate degree in some other discipline but aspire to become a registered nurse. It provides an intense, accelerated and specialized nursing module that typically takes 3 years. LPN to RN: If you are a licensed practical nurse and willing to take your career to an advance position, then LPN to RN bridge program is perfect for you. Successful completion of this program helps one receive an associate degree and maximizes new career dimensions. RN to BSN Program: This program is specifically designed for RNs with an associate degree or diploma in nursing. It emphasizes on developing critical thinking, management, leadership, physical assessment and decision-making skills. Upon successful completion of any of the above programs, candidates are eligible to take the NCLEX-RN exam for licensure. Master of Science in Nursing: MSN coursework is for those RNs who wish to continue their education by acquiring an advanced and higher level degree. It prepares clinical experts and also emphasizes excellence in critical thinking, practice and leadership. Doctor of Nursing Practices (DNP): DNPis considered to be the highest degree in nursing. One can pursue this program only after completing MSN. You learn to utilize patient care technology and information technology to transform and reform health care.